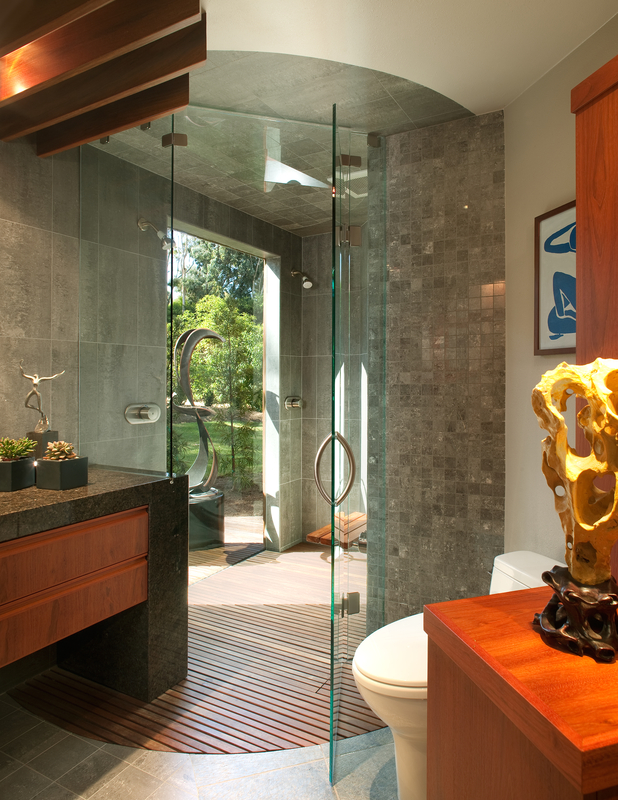 Adding a floor-length glass window, San Diego interior designer Jim Walters opened the original master bath to an exterior sculpture garden. 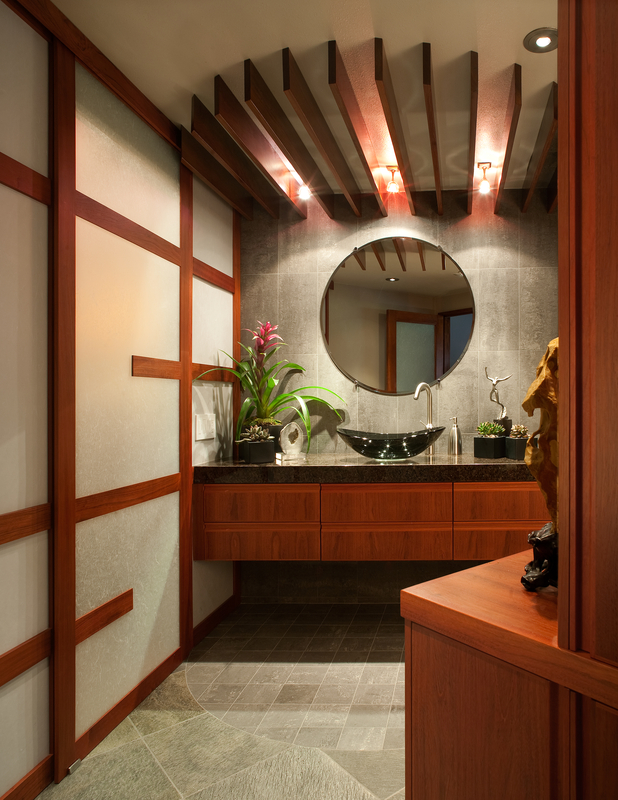 The shower’s radius tile ceiling reflects the circular inset wood on the shower floor. 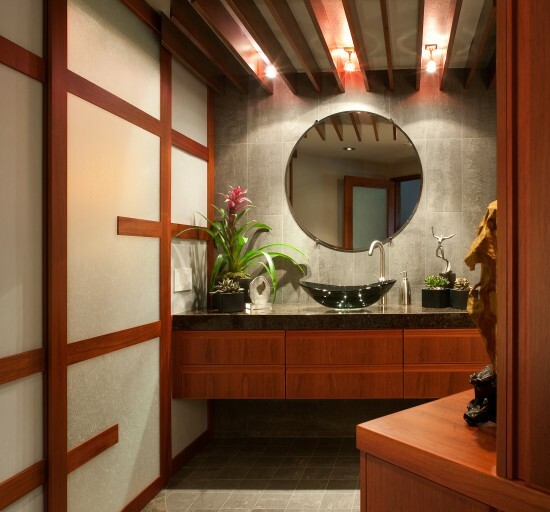 "His bath has sharp, masculine detail in the shoji screen, shower floor and ceiling above the vanity."